“The City of Tucson will offer free transit fares all day on Tuesday, November 6th, to make it easier for citizens to vote on Election Day. Everyone is welcome to ride Sun Tran, Sun Express, and the Sun Link streetcar for free. For Sun Van paratransit passengers, rides will also be free. Sun Shuttle and Sun Shuttle Dial-a-Ride are not participating in the Free-Ride Day, so those riders will pay the regular fare. To find their polling place, registered voters can visit the Pima County Elections Department website. The polls will be open from 6 a.m. to 7 p.m. Passengers are encouraged to plan their route before Election Day. 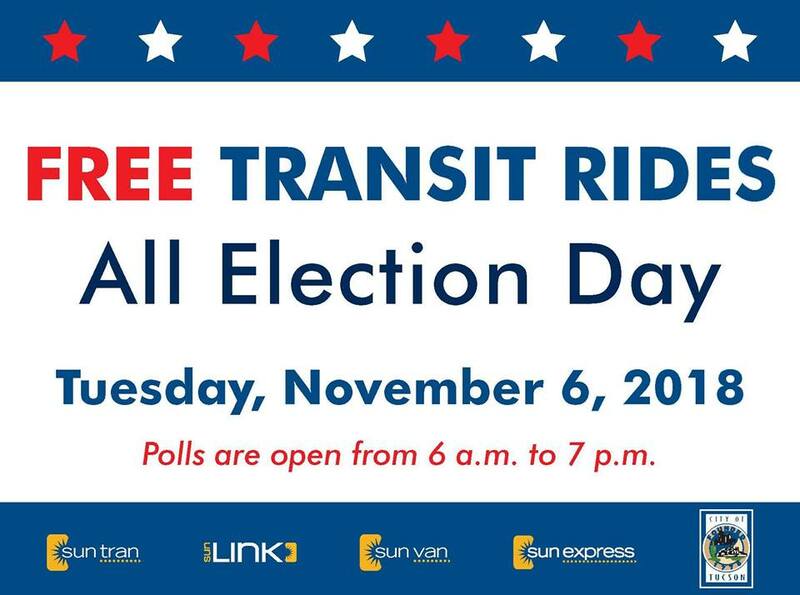 To find a Sun Tran route, call the Customer Service Center at (520) 792-9222 with your starting address and the address of the polling place you will be traveling to. Customers can also use the Plan Your Trip tool, available on Sun Tran’s website. Sun Van riders should call (520) 798-1000 to arrange a ride. 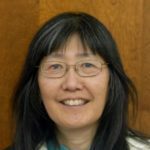 Carolyn’s note: No excuses not to vote on Tuesday Election Day, Nov. 6, now that you can ride the buses/Sun Link streetcar/Sun Van for free to get to the polls. Don’t forget to return your early ballot today, in order for your votes to be counted.